Learning Gardenmaster and SLOLA Chair, David King will teach this introduction to saving seeds from your garden this coming May. Held on Wednesday evenings, participants will learn how to grow heirloom plants and save their own seeds for next year. A truly important step for self-sufficiency and independent living, saving seed is also a powerful tool to gain a more even hand with the likes of Monsanto. By saving seeds, gardeners insure that they can have a reliable safe supply of non-genetically altered food; food not doused with chemicals and food that is lovingly brought from seed to the table. 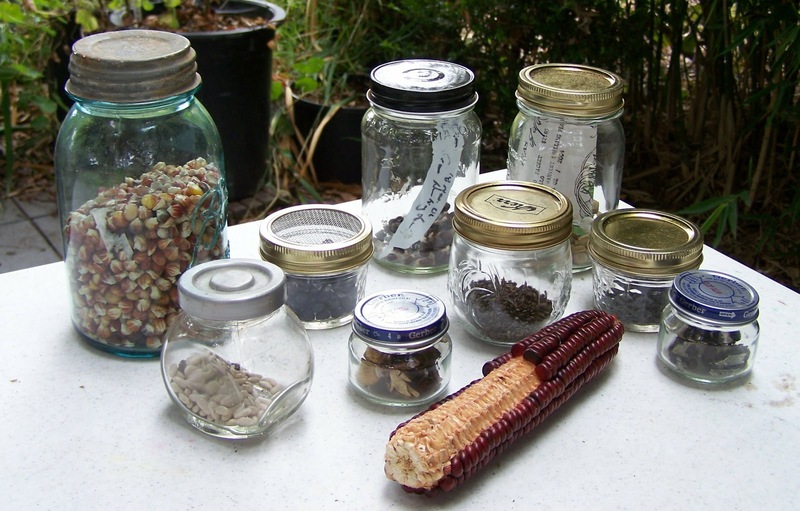 Participants will learn the reasons for saving seeds, the botany needed to save seeds and mechanisms of seed saving. Students will learn which plant seeds are easily saved and which are more difficult and how to deal with them. We will feature a dedicated lab section which will give participants the opportunity to identify the seed producing parts of flowers and how to use that knowledge to even breed your own new vegetable varieties! You will learn the process of hand pollination and how to ensure the seeds you are saving are the seeds you want to be saving. You will also learn why we need to breed our own organic vegetable varieties to further the cause of organic food production in our own neighborhoods and communities. Classes will meet May 09, May 16 and May 23, 6:30 PM to 9:00 PM at The Learning Garden, on the campus of Venice High School at the corner of Walgrove Avenue and Venice Blvd. Please bring your own cup for tea or coffee. Please have a jewelers' loupe for class, we can show you good places to look for your own at the first class meeting. Class will meet May 9, 16 and 23, 6:30 to 9:00 PM at The Learning Garden. The Garden is often cooler than you would think, come prepared to need a jacket or sweater. Reserve your spot today using PayPal. Or contact David King for alternative ways to pay. Yes sure these things are the major part of our garden and A truly important step for self-sufficiency and independent living, saving seed is also a powerful tool to gain a more even hand with the likes of Monsanto.